Medical malpractice comes in many forms, one of the most common of which is failure to diagnose. However, there are some occasions where failure rests on the shoulders of the laboratory that processed and analyzed the bio-samples. Our Boston medical malpractice attorneys recognize that while these technicians may not have gone to medical school, they and their employer can still be sued for medical malpractice because of their role in the health care industry. The governor eventually closed the Jamaica Plain facility. Health care laboratories are required to meet certain professional standards, but mistakes still often occur. One recent example is in the case of Adams, et al. v. Laboratory Corp. of America, reviewed by the U.S. Court of Appeals for the Eleventh Circuit. Here, plaintiff sued a laboratory alleging technicians failed to detect abnormalities in the Pap smear samples forwarded by her doctor. The woman received five Pap smear tests within the course of nearly two years, and none of those returned questionable results. However, she was diagnosed with late-stage cervical cancer, which metastasized to her lymph nodes. She required extensive treatment, surgeries and medications. The plaintiff alleged the technicians did not properly identify on the slides the abnormal cells indicating precancerous conditions. The decision before the appellate court was whether the district court had properly dismissed the plaintiff’s expert witness (and therefore, dismissed the entire case) for failure to abide by appropriate methodology. The appellate court ruled the expert witness was more than qualified to attest to the apparent breach of care on the part of the lab and its workers. The court also found the witness’s methodology to meet the appropriate accuracy standards for admissibility in court. 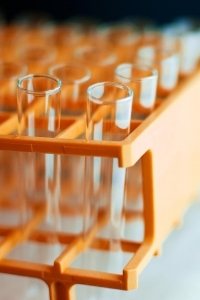 Although this case centered on the laboratory workers’ failure to diagnose, there have been some cases in which labs have been sued for misdiagnosing. Technicians are trained to carefully read these tests. While professionals do on occasion make an honest mistake, there should be appropriate checks and balances within the system at the supervisory level to ensure such errors don’t slip through the cracks.